شکریه, محمود مهرداد, شماعی کاشانی, علیرضا, مسلمانی, رضا. (1395). مدل دینامیکی ساختاری- مایکرومکانیکی برای پیش‌بینی رفتار برشی دینامیکی کامپوزیت شیشه/اپوکسی. علوم و فناوری کامپوزیت, 3(3), 291-300. محمود مهرداد شکریه; علیرضا شماعی کاشانی; رضا مسلمانی. "مدل دینامیکی ساختاری- مایکرومکانیکی برای پیش‌بینی رفتار برشی دینامیکی کامپوزیت شیشه/اپوکسی". علوم و فناوری کامپوزیت, 3, 3, 1395, 291-300. شکریه, محمود مهرداد, شماعی کاشانی, علیرضا, مسلمانی, رضا. (1395). 'مدل دینامیکی ساختاری- مایکرومکانیکی برای پیش‌بینی رفتار برشی دینامیکی کامپوزیت شیشه/اپوکسی', علوم و فناوری کامپوزیت, 3(3), pp. 291-300. شکریه, محمود مهرداد, شماعی کاشانی, علیرضا, مسلمانی, رضا. مدل دینامیکی ساختاری- مایکرومکانیکی برای پیش‌بینی رفتار برشی دینامیکی کامپوزیت شیشه/اپوکسی. علوم و فناوری کامپوزیت, 1395; 3(3): 291-300. به‌دلیل کاربرد گسترده مواد پلیمری، لازم است مدلی ساختاری وابسته به نرخ کرنش برای پیش‌بینی رفتار مکانیکی وابسته به نرخ کرنش این دسته از مواد ارایه شود. در این تحقیق، ابتدا مدل ساختاری دینامیکی تعمیم‌یافته بر اساس نتایج آزمایشگاهی برای پلیمرهای مختلف ارایه می‌شود. بدین منظور نتایج آزمایشی پلیمرهای گرماسخت و گرمانرم مختلف استفاده و مدل فوق ارزیابی می‌شود. این مدل شامل سه بخش است، که بخش اول برای پیش‌بینی رفتار الاستیک پلیمرهای مختلف ارایه شده است. ضمنا، مدل در بخش دوم رفتار غیرخطی پلیمرها را با اصلاح مدل ساختاری جانسون-کوک و در بخش سوم، مدل حاضر استحکام نهایی پلیمر را پیش‌بینی می‌کند. در ادامه با ترکیب مناسب مدل ساختاری دینامیکی تعمیم‌یافته حاضر و مدل مایکرومکانیکی پلاستیسیته هوانگ، رفتار برشی کامپوزیت تک‌جهته شیشه/اپوکسی پیش‌بینی می‌شود. مدل فوق که مدل دینامیکی ساختاری-مایکرومکانیکی نامیده می‌شود، توانایی پیش‌بینی رفتار ماده در مقادیر دلخواه از کسرحجمی الیاف و نرخ کرنش را داراست و بدین ترتیب نیاز به انجام آزمایش‌های مشخصه‌سازی را به نحو چشمگیری کاهش می‌دهد. در انتها نشان داده می‌شود که مدل ساختاری دینامیکی تعمیم‌یافته و مدل دینامیکی ساختاری-مایکرومکانیکی به‌ترتیب رفتار وابسته به نرخ کرنش پلیمرهای خالص و کامپوزیت‌ها را به‌خوبی پیش‌بینی می‌کنند. Bodner, S. R. and Partom, Y., “Constitutive equations for elastic-viscoplastic strain-hardening materials,” J. Appl. Mech., Vol. 42, No. 2, pp. 385–389, 1975. Johnson, G. and Cook, W., “A constitutive model and data for metals subjected to large strains, high strain rates and high temperatures,” Proc. 7th Int. Symp. Ballist., Vol. 21, pp. 541–547, 1983. Zerilli, F. J. and Armstrong, R. W., “Dislocation-mechanics-based constitutive relations for material dynamics calculations,” J. Appl. Phys., Vol. 61, No. 5, pp. 1816–1825, 1987. Bodner, S. and Merzer, A., “Viscoplastic constitutive equations for copper with strain rate history and temperature effects,” J. Eng. Mater. Technol., Vol. 100, No. 4, pp. 388–394, 1978. Meyer, H., “A modified Zerilli-Armstrong constitutive model describing the strength and localizing behaviour of Ti-6Al-4V, Army Research Laboratory,” 2006. Gilat, A. Goldberg, R. and Roberts, G., “Strain rate sensitivity of epoxy resin in tensile and shear loading,” J. Aerosp. Eng., Vol. 20, No. 2, pp. 75–89, 2007. Arruda, E. M. Boyce, M. C. and Jayachandran, R., “Effects of strain rate, temperature and thermomechanical coupling on the finite strain deformation of glassy polymers,” Mech. Mater., Vol. 19, No. 2, pp. 193–212, 1995. Gerlach, R. Siviour, C. R. Petrinic, N. and Wiegand, J., “Experimental characterisation and constitutive modelling of RTM-6 resin under impact loading,” Polymer (Guildf)., Vol. 49, No. 11, pp. 2728–2737, 2008. 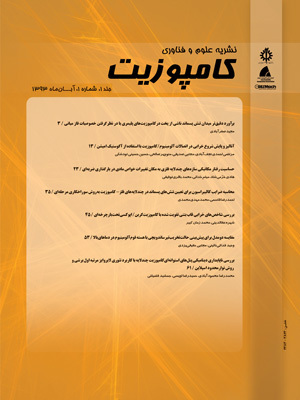 Shokrieh, M. M.Shamaei Kashani, A. R. and Mosalmani, R., “Presenting a Novel Dynamic Constitutive Model for Predicting of Mechanical Behavior of Polymers,” In Persian, in 22nd International Conference of Mechanical Engineering (ISME ), 2014, pp. 22–24. Shokrieh, M. M. Shamaei Kashani, A. and Mosalmani, R., “A dynamic-micromechanical constitutive model to predict the strain rate dependent shear behavior of neat and reinforced polymers with carbon nanofibers,” In Persian, Modares Mech. Eng., Vol. 15, No. 7, pp. 13–21, 2015. Shokrieh, M. M. and Omidi, M. J., “Investigation of strain rate effects on in-plane shear properties of glass/epoxy composites,” Compos. Struct., Vol. 91, No. 1, pp. 95–102, 2009. Gilat, A. Goldberg, R. K. and Roberts, G. D., “Experimental study of strain-rate-dependent behavior of carbon/epoxy composite,” Compos. Sci. Technol., Vol. 62, No. 10, pp. 1469–1476, 2002. Chamis, C. C. and Smith, G. T., “Environmental and High Strain Rate Effects on Composites for Engine Applications.,” AIAA J., Vol. 22, No. 1, pp. 128–134, 1984. Shokrieh, M. M. Mosalmani, R. and Omidi, M. J. “Strain-rate dependent micromechanical method to investigate the strength properties of glass/epoxy composites,” Compos. Struct., Vol. 111, pp. 232–239, 2014. Huang, Z.-M., “A unified micromechanical model for the mechanical properties of two constituent composite materials part ii: Plastic behavior,” J. Thermoplast. Compos. Mater., Vol. 13, No. 5, pp. 344–362, 2000. Huang, Z., “Micromechanical prediction of ultimate strength of transversely isotropic fibrous composites,” Int. J. Solids Struct., Vol. 38, No. 22, pp. 4147–4172, 2001. Zheng, X., “Nonlinear strain rate dependent composite model for explicit finite element analysis,”PhD thesis, 2006. Schoßig, M. Bierögel, C. Grellmann, W. and Mecklenburg, T., “Mechanical behavior of glass-fiber reinforced thermoplastic materials under high strain rates,” Polym. Test., Vol. 27, No. 7, pp. 893–900, 2008. Shokrieh, M. Mosalmani, R. and Shamaei, A., “A combined micromechanical–numerical model to simulate shear behavior of carbon nanofiber/epoxy nanocomposites,” Mater. Des., Vol. 67, pp. 531–537, 2015.